Stones in dogs and cats are dietary related. A client cannot read the label and determine that ingredients, availability of ingredients, or combination of those ingredients are adequate for their pet! 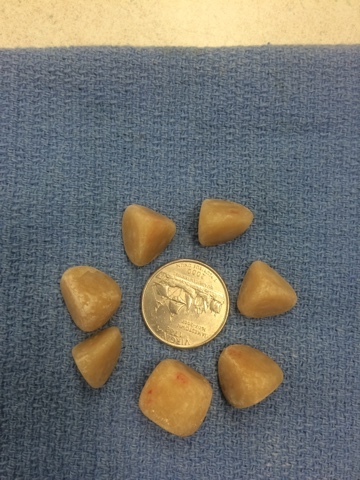 These seven stones came out of a four pound animal. Must have been pretty uncomfortable!